September's featured author, Kate Atkinson, is perhaps best known for her mastery of prose. Her writing is to such a standard that she doesn't just make the bestseller list or win awards for her work, fellow authors are reading it, too. 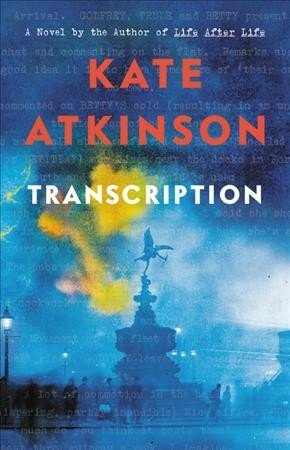 This month, Kate Atkinson releases her tenth novel, Transcription. Set during the beginning stages of World War II, Atkinson tells the story of Juliet Armstrong, who is recruited for an MI-5 assignment to track the movements of Fascist sympathizers. Ten years later, Juliet has left her MI-5 post to work as a radio producer, but despite what she may have hoped, her past is not behind her. This is espionage fiction at its absolute best, and Atkinson's ability to create brilliantly inventive, genre-defying plots is fully present.